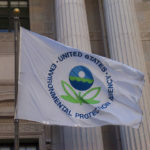 The EPA has issued a new rule raising the allowed residue levels of Monsanto’s herbicide glyphosate (Roundup) on food. Comment today to let the EPA know that their decision to cater to Monsanto’s interests is unacceptable given the recent science pointing to serious harm from this toxic herbicide. Click on the “comment” link or see the instructions below for further details. 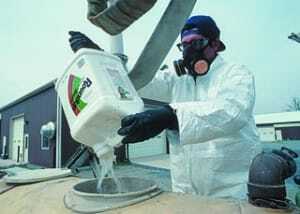 Glyphosate is an herbicide produced and marketed by Monsanto Corporation, the agrochemical and biotechnology giant. 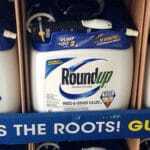 Monsanto claims that glyphosate is safe and has successfully lobbied the Environmental Protection Agency to raise the residue limits of this toxic chemical. But independent scientists disagree with Monsanto: several recently published peer-reviewed studies point to serious health impacts from exposure to this toxic herbicide. Glyphosate has been shown in several recent studies to be an endocrine disruptor. According to the National Institutes of Health, endocrine disruptors could have long-term effects on public health, especially reproductive health. And the “dose makes the poison” rule does not apply to endocrine disruptors, which wreak havoc on our bodies at low doses. The deadline for submitting comments is Monday, July 1. The EPA’s final rule raising the residue limits of glyphosate is unacceptable and based on outdated science. The toxicology profile for glyphosate is not “complete,” as the EPA claims. Ongoing research shows glyphosate may promote breast cancer, induce inflammation, and act as an endocrine disruptor. I urge you to perform a careful review of independent science to determine the health impacts of raising the residue limit for glyphosate. Again, please act by Monday, July 1 to submit your comments!